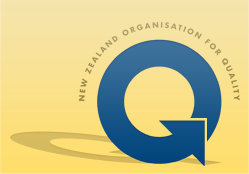 The New Zealand Business Excellence Foundation (NZBEF) is committed to assisting New Zealand organisations realise their full potential, with Foundation membership open to all New Zealand organisations. The Foundation's mandate is to assist New Zealand organisations improve their performance and capabilities by providing best practice business frameworks and by offering support, training, assessment services, access to Award programmes and networking with like-minded organisations. The New Zealand Association for Training and Development (NZATD) is the community of learning and development professionals advancing people and performance in New Zealand. NZATD has branches in Auckland, Wellington, Canterbury (Christchurch), and sub branches in Hamilton, Manawatu and Southern (Dunedin). Member benefits include monthly events and special interest groups, professional development, mentoring, professional membership, a bi-monthly magazine, national conferences, and access to industry information and networks. New Zealand Institute of Management (NZIM) is a professional membership organisation formed to build management and leadership capabilities. It provides a range of resources and services for its members, including Management Magazine, networking, workshops, career development and management information. The Centre for Organisational Excellence Research (COER), Massey University (New Zealand) was formed in February 2001 to integrate a number of innovative initiatives aimed at helping organisations to significantly improve their business performance. These initiatives are all focused on benchmarking, best practices, and organisational excellence. The Business Performance Improvement Resource (BPIR.com) is the leading internet-based business and benchmarking information service. Access benchmarks, best practices, performance measures, quality tools, self-assessments, and a total of over 250,000 articles from around the globe. The BPIR is the essential resource for any person or organisation wanting to get better at what they do. Latin America Quality Institute (LAQI) is the most important Institute of Development of Patterns of Quality of Latin America. Having a main seat in Panama city, our principal objectives are: The development of the norms and procedures of quality adopted by companies as well as the recognition of successful experiences in the quality area. Throughout its history it has evolved to more than 500 companies and professionals who at the moment belong to the select club of members of LAQI.